The new Master Programme in Accounting and Financial Management is about to start at Uppsala University. The first intake of students to the new programme will be in autumn 2017. – We would like to clarify the subject of accounting and finance. A lot happens within accounting. New rules and regulation have been introduced. It is the same within the world of finance. 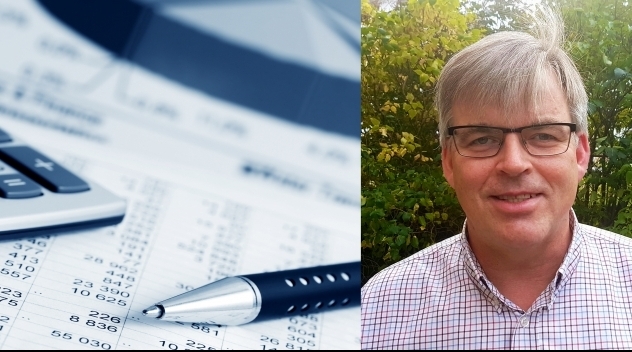 The financial sector has become much larger both in Sweden and internationally, says Jan Lindvall, Senior Lecturer at the Department of Business Studies. – We want to give the students an impression of what they can be, and these occupations can be the goal. The programme is unique in that it is has connections to the Swedish Research School of Management and Information Technology (MIT) which has its base in Uppsala. There is the ambition to connect knowledge about digitalisation to the areas of business studies. – Several of our teachers are related to this. As well as the introduction of the Master Programme in Accounting and Financial Management, there are even some changes to four other Master’s programme. The Master Programme in Business and Management has changed; three new specialisations will start in the autumn. These specialisations are Organisation, International Business, and Marketing. The Master Programme in Humanities are introducing a new specialisation: Cultural Heritage and Sustainability. This specialisation will be offered at Campus Gotland. The Master Programme in Earth Science is also starting a new specialisation: Sustainable and Innovative Natural Resource Management (SINReM). Currently application to this specialisation is made via the Univeristy of Ghent. In total, Uppsala University offers 48 international Master’s programme set to commence in autumn 2017.